Land managers are increasingly concerned with the spread of selected highly invasive weeds to new areas such as natural areas, rivers and wetlands. Work is being done to address the introduction and spread of invasive weeds to these high-value areas through construction practices, seeding specifications and weed free products. The North American Invasive Species Management Association (NAISMA) has lead the way in developing nationwide weed free forage/straw and gravel certification standards. The Division of Agriculture, in partnership with Alaskan stakeholders and agencies, has adapted these standards as a voluntary program to meet the unique needs of our state. The Alaska Weed Free certification programs offer a way for producers to ensure that their products meet NAISMA standards and have reduced potential for transport and dispersal of listed weed species. The Division of Agriculture has certification programs in place for both forage and gravel materials, offering producers and gravel pit managers the opportunity to have their sites certified during the growing season. 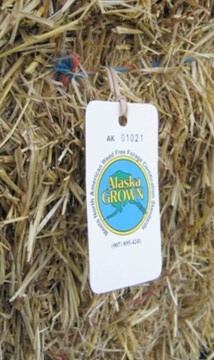 Each program is based on NAISMA standards and is adapted to Alaska.